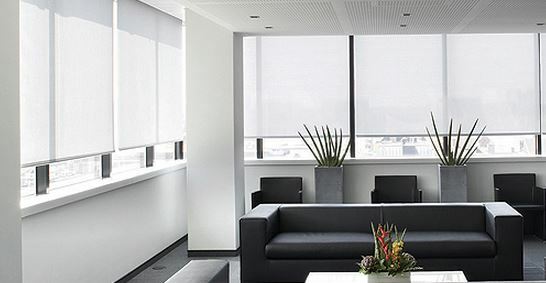 Superior window blinds made with acoustically effective fabric help reduce reverberation associated with hard glass window surfaces. 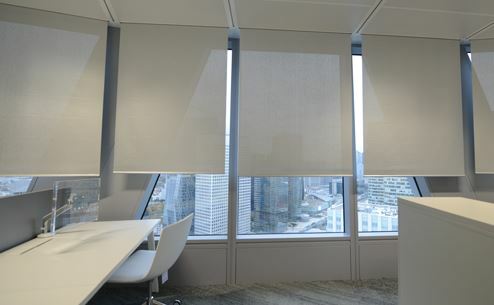 The large surface area means acoustic blinds can support noise reduction in open plan offices. Provides up to 55% sound absorption. 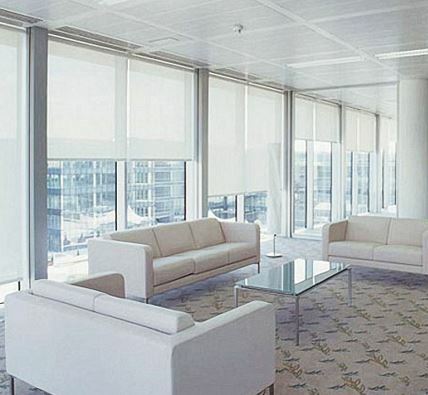 Large surface area make acoustic blinds desirable in an open plan office.